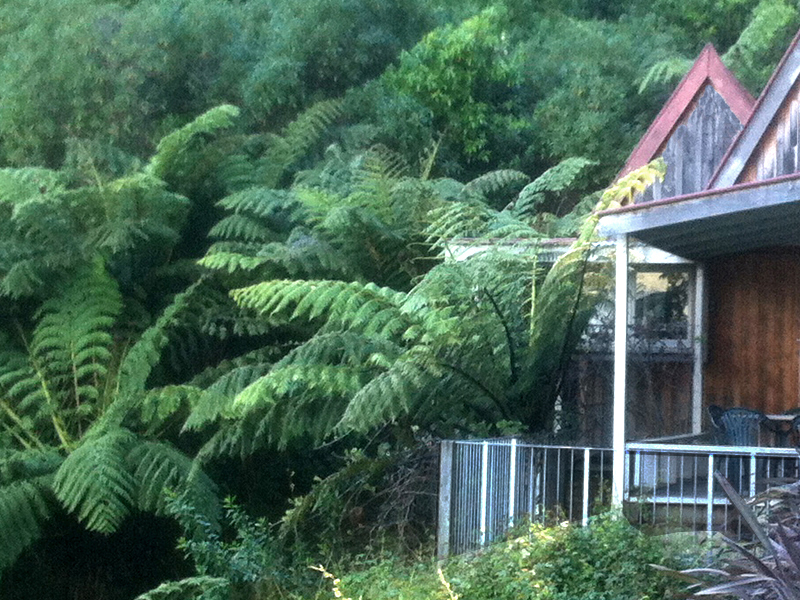 Studio in its bush setting overlooking the harbour. Studio bedroom with kitchenette and ensuite bathroom. Cottage kitchen/dining open to terrace. Outdoor spa pool overlooking the harbour. Akaroa Harbour showing location of the Akaroa Coastal Retreat. In summer we offer harbour cruises in a modern 33-foot yacht. Akaroa Harbour is the summer playground of Hector's dolphins. Evening in Akaroa township, from the Lighthouse Road. ... or take you there ourselves. 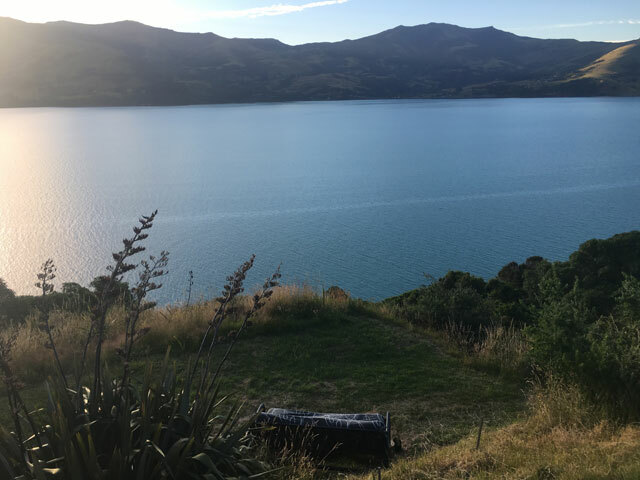 Treat yourself to a relaxing holiday at our quiet and secluded retreat overlooking Akaroa Harbour. Private and peaceful with amazing sea views and abundant birdlife, seemingly remote but only 3 kilometres on a scenic road from the township. 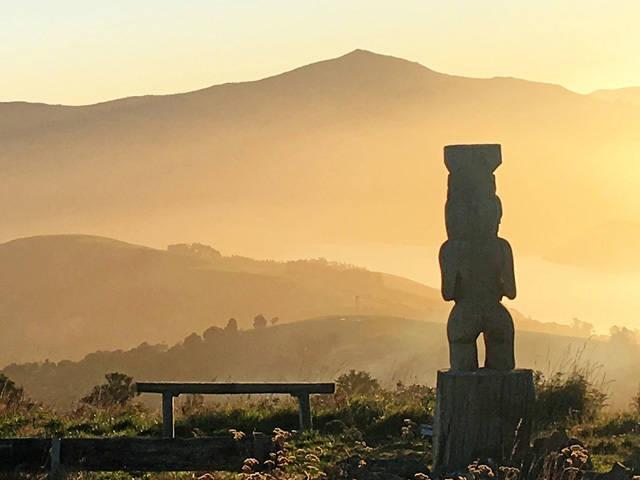 We have two accommodation options, the self-contained Akaroa Coastal Cottage (sleeps up to 6 people) and the Akaroa Coastal Studio (sleeps 2). Studio guests or a couple from the cottage may enjoy private use of our outdoor spa pool / jacuzzi / hot tub. All accommodation includes full linen, complimentary WiFi and SkyTV. For our guests that would like to get out on the water, we can offer scenic coastal cruises in our comfortable, fast 25-foot Stabicraft and learn-to-sail or hands-on sailing sessions in summer in our 33-foot Farr MRX yacht... please enquire when booking if interested. The cottage sleeps up to 6 people in 2 bedrooms, with an optional 3rd bedroom available. It is private, self-contained and well-equipped. 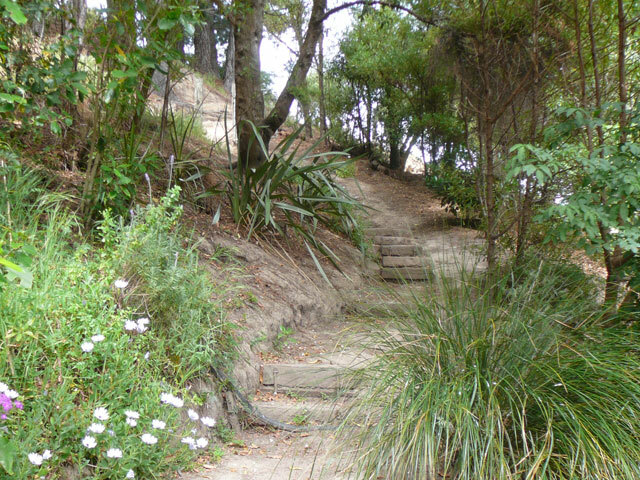 If you enjoy the outdoors and are happy with a 70-metre bush walk with steps down from your car then you will love the cottage and its seclusion. Full linen, including sheets and towels is provided. Complimentary WiFi and SkyTV. 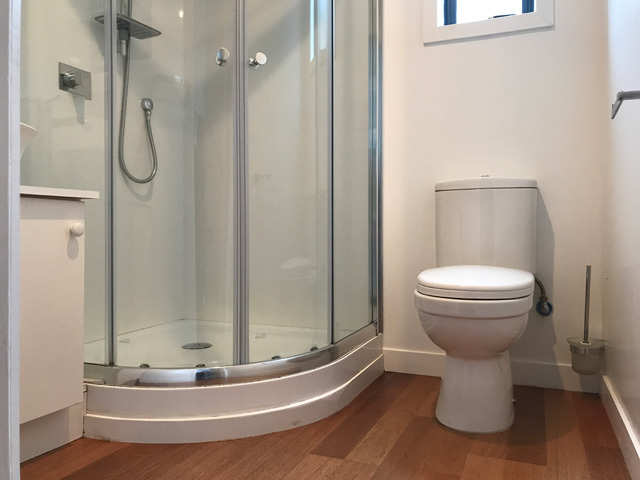 Large bath, separate shower and laundry facilities. The living/dining room opens onto a large covered terrace with table, chairs, couches and a gas barbeque. A couple booking the cottage for a romantic getaway, or a couple of friends, can enjoy private use of our outdoor spa pool (jacuzzi)... use is shared with guests in our studio accommodation so please book your private time. Suitable for families - we provide a portacot and highchair. Probably not suitable for anyone with a walking disability - see photos of the path down to the cottage and the spiral stair serving the bedrooms. Charges above are for 2-night minimum stays. We accept 1-night bookings for an additional $35/night in some circumstances, please enquire. The studio sleeps 1-2 in a queen bed. 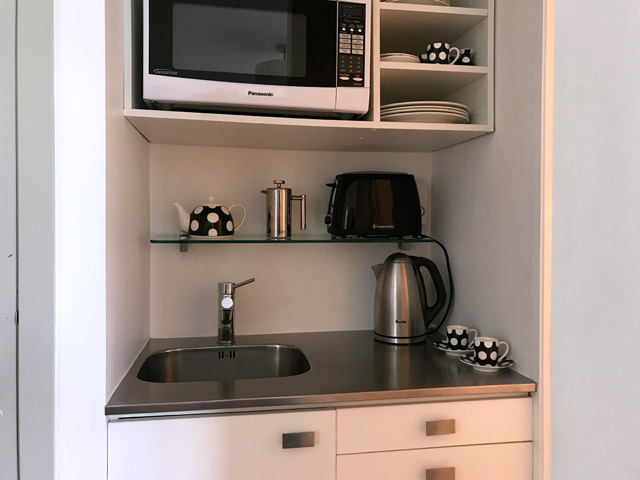 It has an ensuite bathroom, small kitchenette (microwave, fridge, toaster, jug - please note that there is no cooktop or oven) and table with chairs. 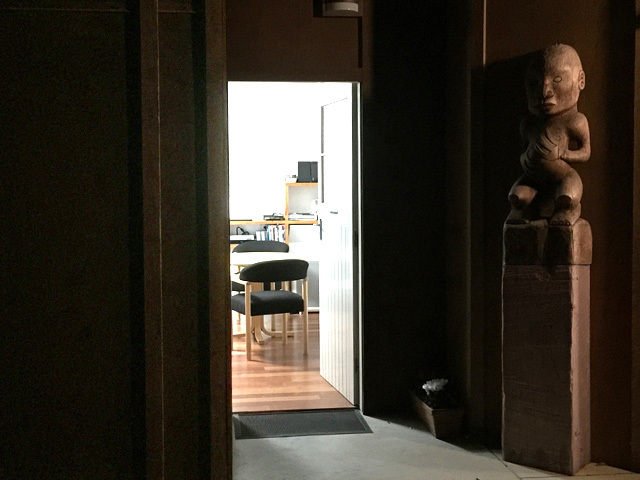 The studio is quiet and private. It is attached to our home and is adjacent to where you park your car, it has a separate entrance and its own key, so you can come and go as you please. The studio is air-conditioned and complimentary WiFi and SkyTV are provided. We encourage our studio guests to use our deck and they can enjoy private use of our outdoor spa pool (jacuzzi)... use is shared with guests in our cottage accommodation so please book your private time. We run daily early-morning cruises in Southern Wanderer, our 7.6-metre Stabicraft, departing from Akaroa's main wharf at 8:00am, often in the calmest conditions of the day... letting us explore more with the best light for photography. 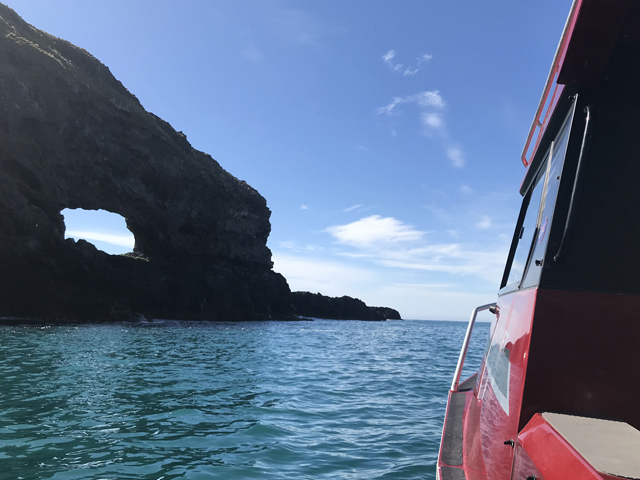 The trip itinerary is weather-dependent but our vessel has a heated cabin and is comfortable, safe and fast, allowing our experienced and knowledgable local skipper to guide small groups (8 max) through the amazing coastal scenery, history and wildlife of Banks Peninsula. You will be back at the wharf by 10:30am, with incredible shots of seacliffs and seabirds for your Instagram feed and indelible memories of this beautiful place that we call home. We also run private charters. Get a group of up to 8 family, friends or colleagues together for personalised cruises with flexible departure times, trip durations and itineraries. For a 2-hour private cruise for a group of 4-8 people we charge only $90/person. We are happy to quote for longer or shorter trips, smaller groups or specific requests. Visit Southern Wanderer for more info about our scheduled trips and private charters. Phone 027 484 8830 to book or enquire. Visit our Facebook page | AkaroaCoastalAdventures for more info/photos and 'Like' it to follow us for regular updates and special offers. During the summer season we offer our adult guests (and anyone else who enquires about a sail through the contact form on our website) a 15% discount voucher for personalised sailing sessions on our modern 33-foot Farr MRX yacht. Competitive prices for small numbers (2-6 guests) with flexible departure times and durations. 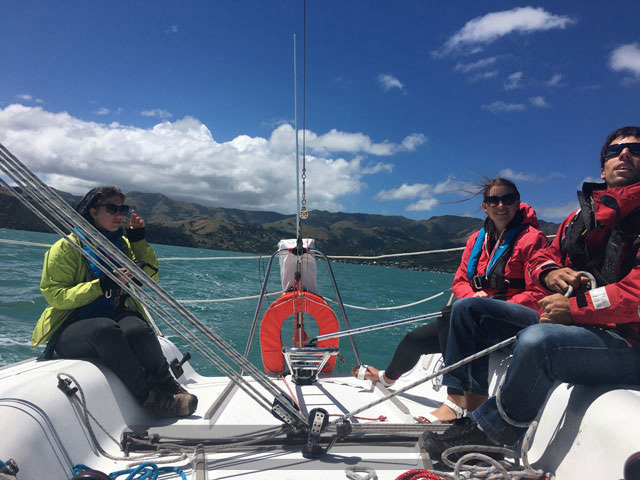 Take the tiller for hands-on sailing with learn-to-sail instruction from a YNZ-qualified skipper if requested. Let us know when booking or through our contact form if you are interested. Visit Harbour Sail for more info about our sailing options. Because sailing is weather-dependent, we do not require payment in advance but our guest crew numbers are small so please let us know if you are interested in sailing with us, when booking your accommodation or through the enquiry form on this website, and we will contact you to discuss the options, quote prices and book you in. Studio guests and smaller groups from the cottage (3 people max) may enjoy private use of our outdoor spa pool / jacuzzi / hot tub. All accommodation includes full linen, complimentary WiFi and SkyTV. For our guests that would like to get out on the water, we can offer scenic coastal cruises in our comfortable, fast 25-foot Stabicraft and learn-to-sail or hands-on sailing sessions in summer in our 33-foot Farr MRX yacht... please enquire when booking if interested. ... and the same view in winter! $200/night. We accept 1-night bookings. 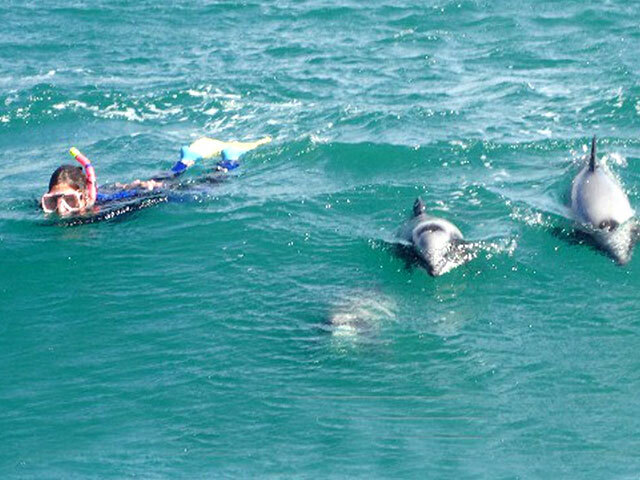 Swim with Hector's dolphins, the world's smallest and rarest. We run early-morning cruises in Southern Wanderer, our 7.6-metre Stabicraft, departing from Akaroa's main wharf at 8:00am, often in the calmest conditions of the day... letting us explore more with the best light for photography. 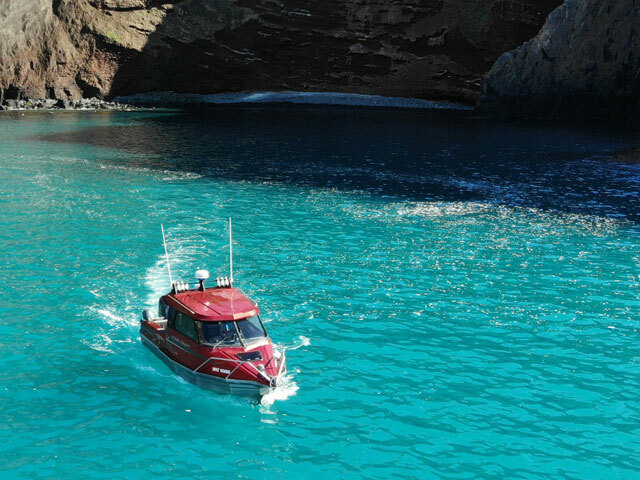 The trip itinerary is weather-dependent but our vessel has a heated cabin and is comfortable, safe and fast, allowing our experienced and knowledgable local skipper to guide small groups (8 max) through the amazing coastal scenery, history and wildlife of Banks Peninsula. You will be back at the wharf by 10:30am, with incredible shots of seacliffs and seabirds for your Instagram feed and indelible memories of this beautiful place that we call home. 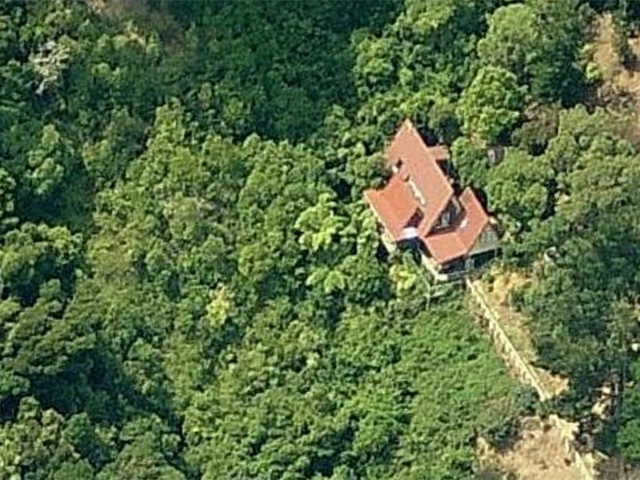 "Beautiful secluded location with spectacular views of the bay. Just 5mins to Akaroa by car. We were lucky enough to watch a change in weather come through the bay with views from the studio. Would highly recommend staying here!" 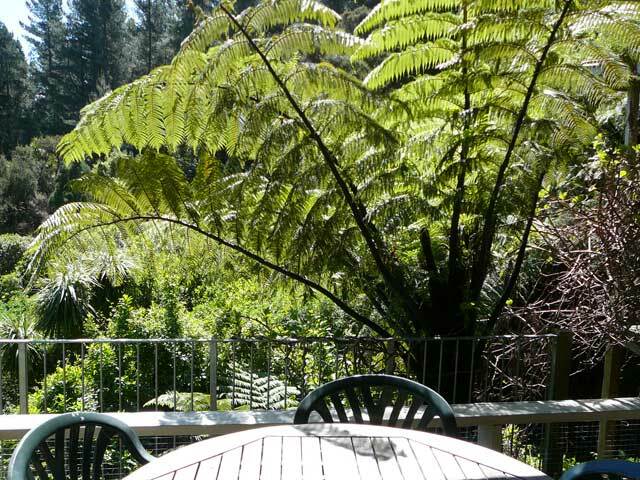 "I highly recommend the people who will visit Akaroa to choose Jenny & John's house to stay in. Jenny & John are very friendly. They have a lovely house with breathtaking view and two cute dogs. Everything in the guest room is neat and comfortable. We had a great night there." "Wonderful location and cosy studio. The spa was an added bonus... lovely to sit and watch the stunning night sky." "Jenny and John are fantastic hosts. Top rate hospitality, facilities and location. We look forward to staying with them again." "John and Jenny were excellent hosts and great communicators. The studio has amazing views and everything you need for a wonderful stay. The deck in the afternoon sunshine is also spectacular. 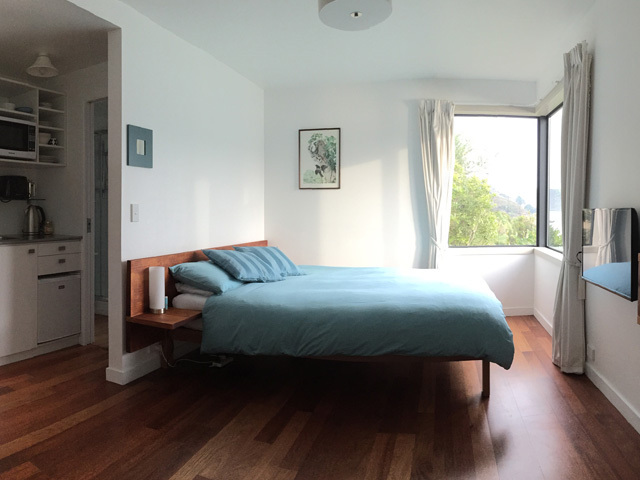 We have no problem recommending this Airbnb to any future guests." "Fantastic location, very comfortable and great hosts." "Amazing spot if you're a wanting to escape from city life. Very peaceful! John was really friendly and easy to communicate with. Perfect weekend away!" "Really enjoyed the views from the spa, really nice studio and great hosts!" "John was welcoming and thoughtful. The studio was neat and tidy which made our trip a pleasureable experience." "A great place to stay when visiting Banks Peninsula. Clean, comfy and with beautiful views. The hosts are very kind and welcoming, providing local tips and just generally making sure our stay was great. Big recommend overall!" "This is a cozy getaway just outside of Akaroa's center. By far my favorite Airbnb yet." 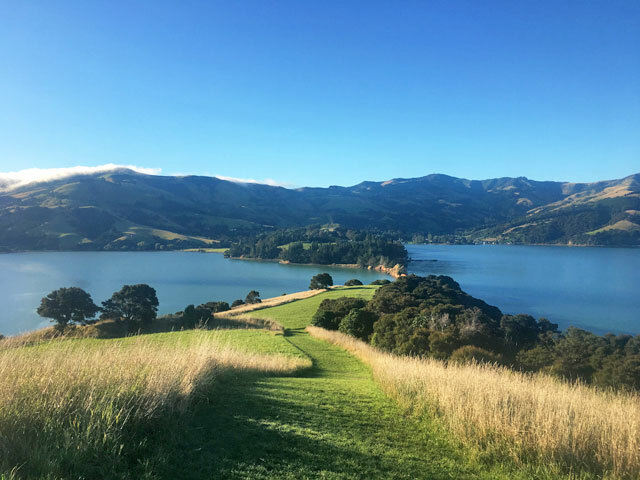 "The views of the bay are incredible and the house is only a short drive from Akaroa, yet it feels wonderfully isolated and private. Highly recommend." "Awesome view ! The room is perfect and John was very welcoming. I strongly recommend." "A beautiful place. Stay here if you can. Very classy and rustic, unbelievable view of the bay." "Secluded but only 5 minutes by car from town. Nestled in the woods on a steep hillside with views over the harbor. Listen to the bell birds sing as you sip your coffee or wine on the patio or inside." "We enjoyed the fantastic view and stay with John and Jenny. Both were extremely helpful in helping us make the most of our 3 nights in Akaroa. The studio apartment is small but well supplied and even with being attached to their home it was very quiet. We loved the Woodills walk and the drive to Okains Bay and Little Akaloa Bay. John also suggested we stop at a museum in Okains Bay and we were impressed at the man's collections of Maori life and the history of the area. In the evening, we would put on our swimsuits, robes (provided by John and Jenny) and head to the hot tub with a glass of wine and enjoy the incredible view and stay until the stars came out. We would definitely recommend a stay with John and Jenny and you might want to book early." "THE VIEW!!!! The photos do not do this beautiful spot justice. We enjoyed the spa during the sunset and it was honestly one of the highlights of our trip. John was a wonderful, friendly host and made sure we were always comfortable. Comfy bed and another lovely view to wake up to. You couldn't pick a better place to stay in Akaroa." "This place is stunning! You will be hard-pressed to find a better view from their amazing deck or from your bedroom window for that matter! 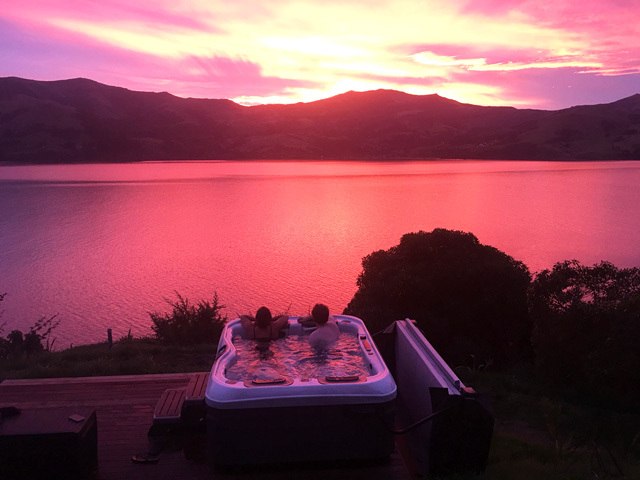 Watching the sunset in their secluded hot tub is one of those moments you wish you could stay in forever. The room was immaculate and very well appointed. Jenny and John were lovely people who made us feel welcome immediately with coffee and great conversation. After we convinced Jenny that we love dogs, she brought her dogs out for us to play with and pet. This was an absolute highlight of our trip." "Jenny and John's place is very special. The view from the bedroom is magical and utterly breathtaking! The studio is eco-friendly with no-chemicals dishwashing soap, shower gel and a recycling bin. The spa pool was the highlight of our stay, we spotted beautiful birds and thoroughly relaxed. 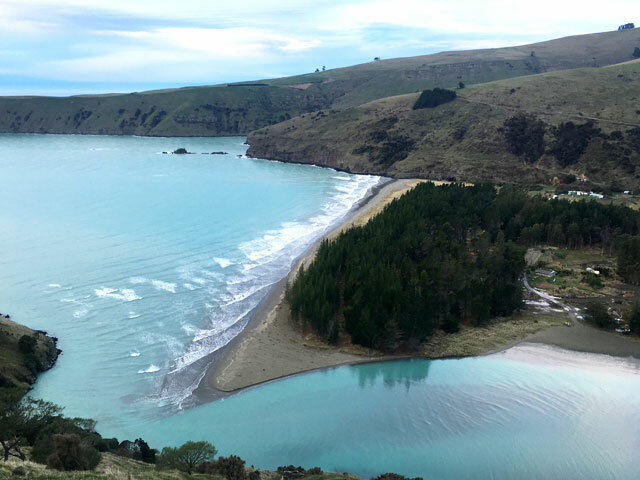 It's only a short drive to Akaroa, just close enough to grab a quick bite to eat, and just far out enough to make you feel like you're on a secluded private coastal retreat!" "Great location and wonderful views. Loved waking up to the incredible dawn chorus!" "Fantastic views ,very secluded Bach, we loved it !" 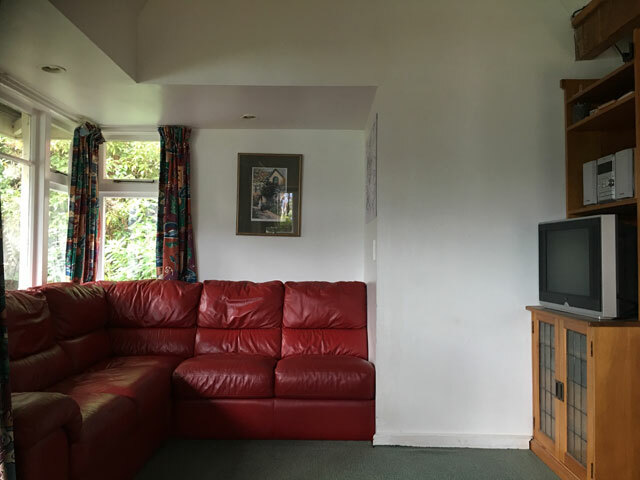 "Lovely location with views across Akaroa Harbour, peaceful. Compact property, linked to owners house, but with full privacy & fine for a couple of nights stay. Well laid out & well equipped. Use of hit tub with amazing views." "Wow, we have just left Jenny and John's studio and cannot believe what amazing hospitality we received. 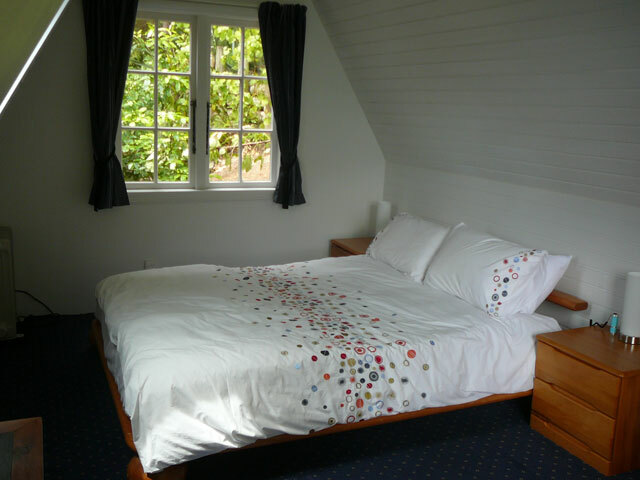 We booked the studio with less than 12 hours notice as we decide to stay an extra night in Akaroa - which is beautiful. And we are so glad we did. The studio is gorgeous and the scenes from Jenny and johns house beats any 5 star hotel. They made us feel so welcome and there were so many thoughtful touches. 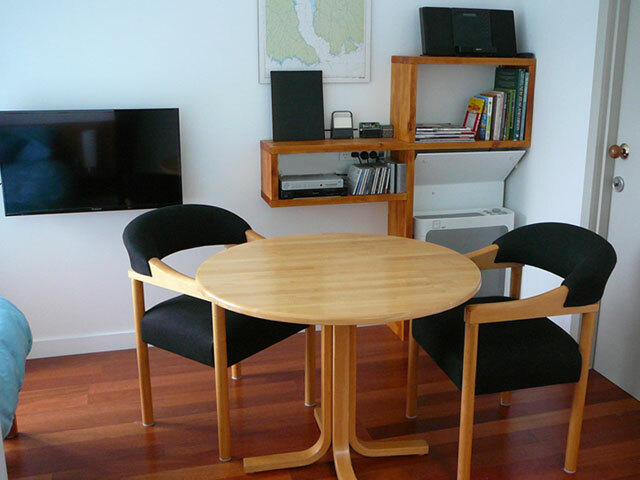 We loved our time in Akaroa and would recommend this studio to everyone." "The best view to wake up to ever:) lovely hosts and would not hesitate to recommend." "The views and locations are amazing. We loved the birdsong in the morning and the swallows that sleep under the porch." "Wow! What a spectacular place to stay, from the breathtaking views from the bedroom and the hot tub to the outstanding hospitality. We will definitely be visiting again!" "John and Jenny are lovely and their place is amazing. Not far from town but secluded in the bush with the best water views. We could see dolphins from our bedroom and watched the sunset from the spa whilst listening to the birdsong. They were the perfect hosts and we'd go back in a heart beat." "A great wee spot to spend a quiet break away from home." "Such a beautiful place to visit, Jenny and John were really lovely hosts. Stunning views of the mountain and the water from the room. Loved the cookies Jenny's Mum made :) Highly recommend to all." "This is an old family home and as such is quirky (in a gorgeous way). It is well equipped and comfortable and the views are to die for." "John and Jenny made us feel really welcome. Their home is fantastic, a little slice of paradise. We felt absolutely privileged to stay in such an amazing location. The hot tub was a brilliant surprise addition to our stay." "Everything was perfect and I recommend this place !! You will love it." "It was great. A hideaway close to busy Akaroa. Very clean and just as the website portrays it. The deck is perfect. The access won't suit everyone but we loved it. Would definitely go back to this cottage." "Clean, tidy, Lovely and cozy room with everything you need plus some tasty home made cookies. Amazing view in room that we just can't move off our eyes. Jenny and John are so friendly and we feel like as home. There are some CDs, DVD and books in the room and we had a good night in here. Really want to stay for one more night and definitely will come again in next trip!" 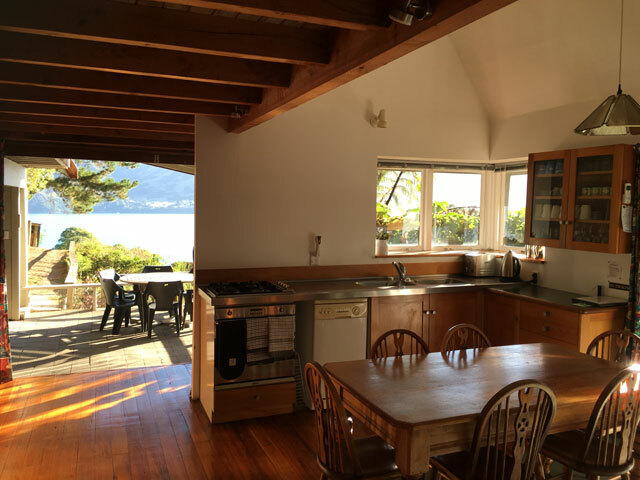 "Great Kiwi bach close to Akaroa with views over the harbour. Spent a few days there to get over the jetlag upon arrival in NZ. Worked a treat." "Jenny and John are lovely people and we very much enjoyed our stay in their little apartment. 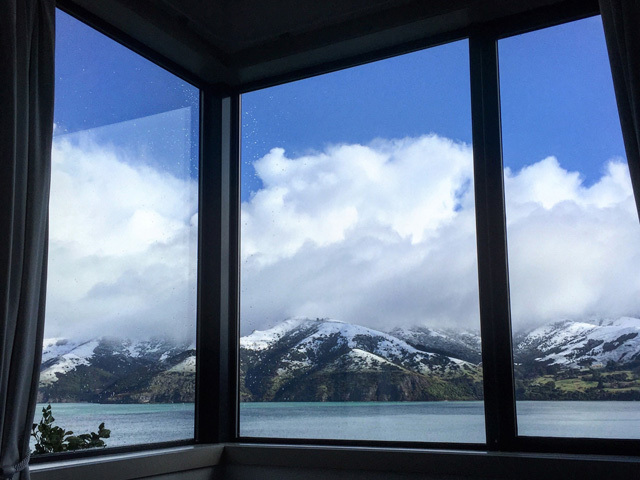 Akaroa is one of the most beautiful places, and the view out of their apartment just cannot be beat. We really enjoyed our stay and would recommend it to those looking for a cozy weekend getaway!" "This Place is just one little paradise. Great view, wonderful equipment and really very friendly hosts. Highly recommended!" "Such a clean and cozy space with amazing views. The hosts are so kind, and the studio is well equipped. It was a real pleasure staying here as we toured the country." "The view, the quiet, the spa and the lovely hosts made for a perfect weekend getaway." "Highly recommend! Jenny and John are the most warm, inviting hosts. 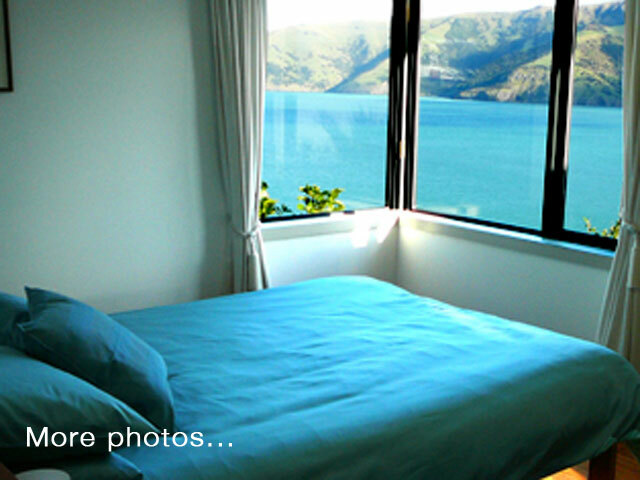 Their studio was perfect for my first visit to Akaroa--very clean, comfy bed and with a stunning view. The spa was amazing too! Incredibly peaceful location but still very easy to drive into town. Wonderful sailing with their son as well. I will definitely be back!" "Great location & views over the harbor, especially from master bed! Classic bach, very comfortable, & well-equipped. It received many accolades from everyone in our group!" 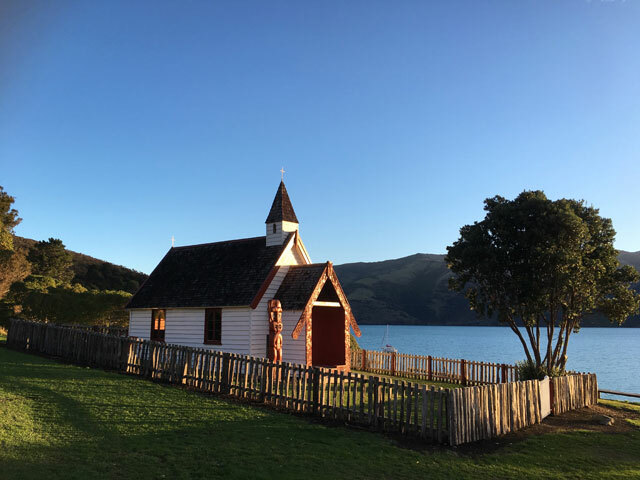 "The Akaroa Coastal Retreating was everything and more that we hoped for...after many hours of travel it was the most beautiful place to finally get a chance to relax. Such a special place, the views were amazing. The jacuzzi was just what we needed - the way it was set up we'd almost consider it an "Infinity" jacuzzi. It provided seclusion and you felt as if you were hanging right over the cliff. Grab a bottle of wine on your way through town and get ready to indulge! Thank John & Jenny for the wonderful stay!" "A beautiful spot! Jenny and John made us feel very welcome and the views are stunning. Room is comfortable, had all we needed for our night's stay. The spa pool was the perfect way to end our holiday. Thank you!" "This would be one of the best scenic places I have ever stayed. The view of the mountain and harbour is breathtaking. It's a perfect stay of anyone wanting a tranquil surrounding to enjoy nature's beauty." "John and Jenny are very nice. I like them! The house is cool. It have two lovely dogs. We were very enjoy in the house cause the room face the sea." "Lovely, well equiped property with stunning views and plenty of character. Would love to stay there again." "Thank you Jenny and John for the opportunity to stay in one of the best places in Akaroa. The location is incredible and I can't describe how beautiful the view is. The house has everything you need and was very clean. It is only a short 5 minute drive into town and there are numerous cafes and restaurants to choose from. I highly recommend staying here, you wont be disappointed." "The studio is really nice, big enough for two people with a beautiful view of the harbour. Easy 30-40 minute walk to the town/wharf. Would highly recommend to friends, couples or singles. Hopefully we get to stay at this place again." "Had an amazing time at John and Jenny's place! A little piece of paradise." "Extraordinary location, Sonderfälle view from the huge and nice terrace. cosy and clean property- our family with our three girls enjoyed it very much- Thank you John!" 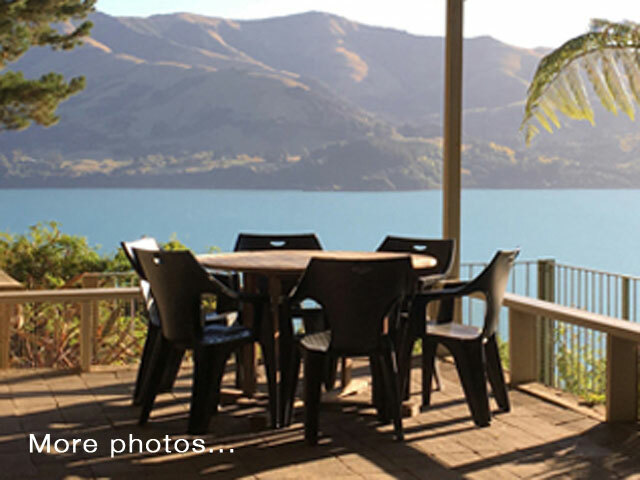 "Incredible location and stunning home with views to die for, just a short drive from Akaroa. Loved the hot tub, brilliant place to relax and enjoy the views after a day exploring." "Jenny & john's place is the perfect place for a couples trip to the seaside, the location is unbeatable with stunning view. They are the perfect hosts, so lovely and a accommodating. I would highly recommend staying with Jenny & John." "Such a beautiful spot to stay! Loved our time there." "Lovely stay with gorgeous views - a nice peaceful spot for anyone wanting rest and relaxation. Everything you need is there. Wonderful spa in the evening with stunning vistas. Thanks Jenny and John." "Perfect place. View is amazing. Host were great. Enjoyed getting to know them. Studio was clean, accommodating for anything you needed. Highly recommend." "The place is great. Location, hospitality, quietness and a lovely place to unwind and relax. The spa above the hill is fantastic too and worth the stay itself. Highly recommend a stay with them!!" "This was a beautiful quaint house. We loved the views, the hot tub. All equipment we needed was there. Our only regret was that we only had 2 nights there. The host, John was welcoming and friendly. A certain amount of fitness was required to go up and down from the car. But it is clear in the details of the cottage that we should be prepared for that, so packed lightly!" "Really nice place, beautiful view ! Very quiet. We enjoyed the spa with this wonderful view." "Fabulous place. The studio is welcoming, warm, well organised, really comfortable (the bed is amazing) and you have everything you'll need. The view and the silence are astonishing! Great hosts, very kind and welcoming. They made us feel at our ease, like home. So kind to let us use the spa at night. Looking at the sky from the spa was something we will never forget. You can clearly see the Milky Way and, if you are lucky (we were) also falling stars! Highly highly recommended!" "Perfect spot to get off the beaten path for a few days, beautiful scenery. hosts are lovely!" 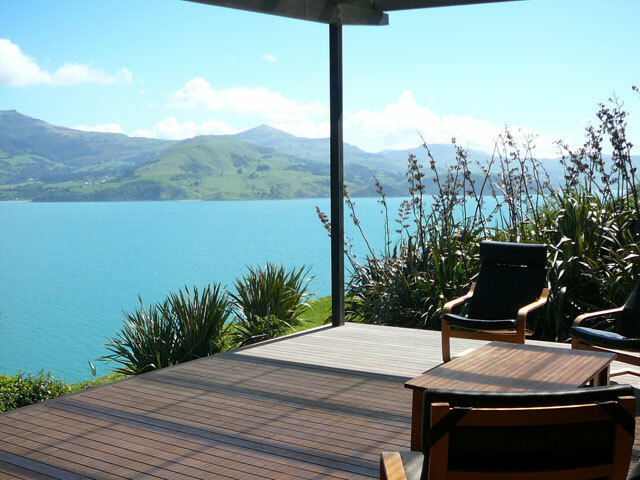 "Akaroa Coastal Retreat really is a little piece of paradise on earth. Holistic Health & Wellbeing ran our Retreat here and we hired both the Cottage and the Studio. Both are absolutely incredible spaces to stay, with mind blowing scenery in all directions, the mountains, native bush and ocean - it was truly a magic weekend. Our hosts were most helpful, they went above and beyond to ensure our stay was perfect and although available to answer any queries that we had, they also gave us our privacy. I couldn't recommend the place higher. 10/10 from all of us at Holistic Health & Wellbeing. Personal favourite - The Spa overlooking the ocean! One of the most incredible spots to sit and reflect." "Absolutely fantastic experience and hospitality. The spa experience topped things off whilst gazing at the stars and milky way sharing our own bottle of bubbles. We will be back at some stage for some more relaxation." "Wonderfully warm cabin in the most stunning location. Well provisioned, and cared for. Thank you John and Jenny for a lovely relaxing stay in such a magnificent place!" 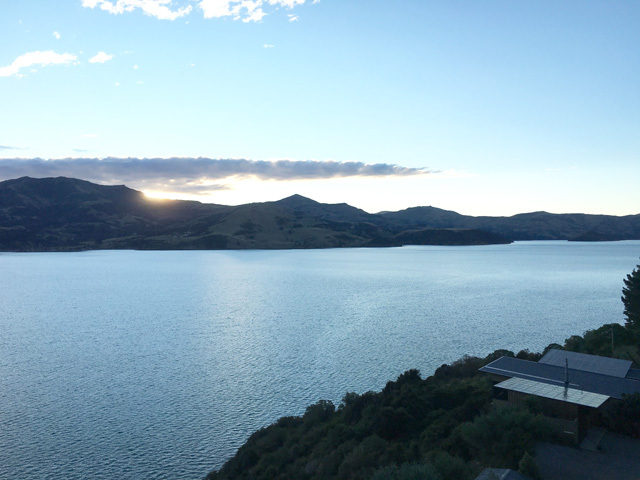 "We were lucky enough to wake up to this magical place for two days while visiting Akaroa. Quiet, peaceful, and full of loving details from John and Jenny." "What can I say. WOW! One of a kind, beautiful scenic location. The home is beautiful and warm with lovely views. The spa is amazing, and the doggies were very cute and friendly. John and Jenny were very welcoming, warm friendly people and we hope to return soon. 5++++ stars, one of the best Airbnb I've stayed in." Jenny and John are very friendly and we had a great time relaxing and soaking in the spa watching shooting stars it was amazing!!" Jenny and John are perfect hosts and the lake view from venue is amazing." 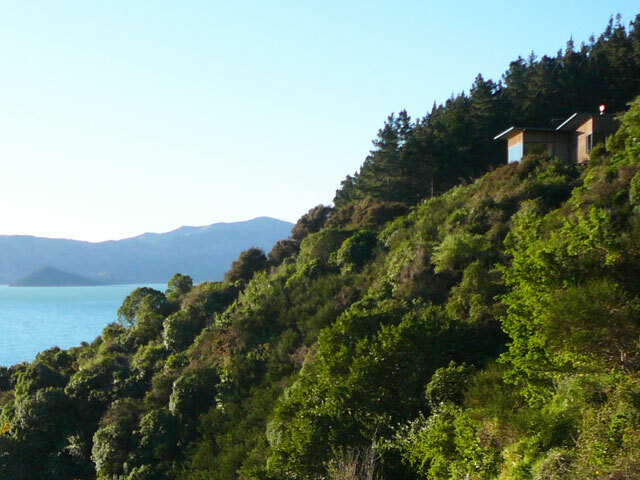 Jenny and John's secluded cottage is a great escape in the picturesque Akaroa harbour. Spa and views a particular highlight. Thanks for the wonderful stay, beautiful views and welcoming hospitality." "Such a lovely wee cottage with some awesome views. Close to town and Jenny and John are super lovely and let us use their hot tub." "Cute, clean and cosy. This property suited our family very well. Our children loved the spiral staircase and the space to play outside." 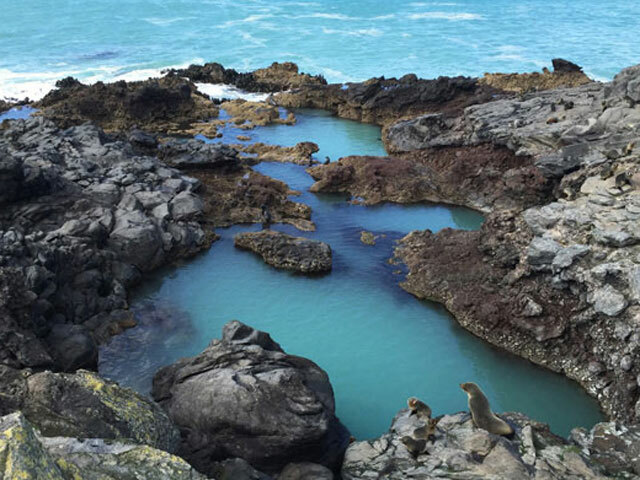 "Absolutely stunning place, mixed with amazing hosts! Had a big camper van that needed some guidance with the driveway, but John was more than happy to lend a hand. Incredible views from the spa and bedroom, wish we had more time to stay longer!" "Jenny and John's cottage was lovely for the two of us. It's not much of a drive from town but it's so quiet and serene. The view was stunning both from the cottage and the spa and it wasn't cold in the cottage either, despite being the middle of winter. It was a cosy and lovely stay, and we easily could have spent more than two nights. You can tell Jenny and John are super hosts the cottage is so well kitted out that we never had to enquire about anything and had lots of privacy. 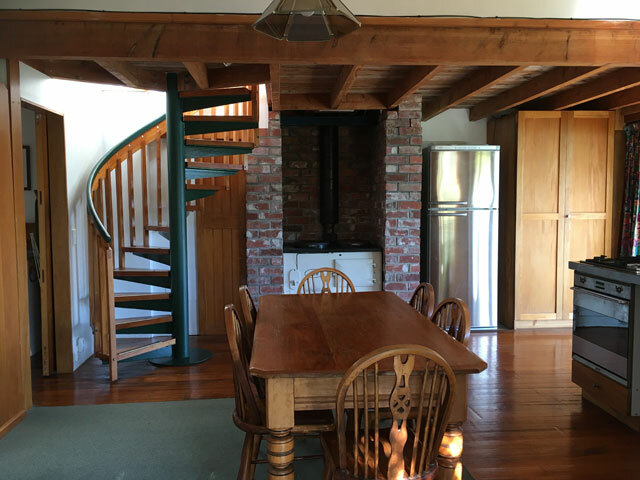 Can definitely recommend the coastal cottage for a getaway for couples, families and friends." "Very nice little cottage, a special cosy retreat hidden in the bush with beautiful views of the harbour. Extremely helpful host." "Beautiful setting. I stayed with a friend and it was perfect for what we wanted. Cosy, warm and with a wonderful view. We used the spa and John and Jenny couldn't have been kinder or more accommodating." "Great location, with a lovely view from the bed. Great people, great hospitality. Would stay again." "We had the most lovely stay at this sweet little cottage this weekend. It was in a great location, nice and peaceful. We specifically booked due to the fact it had a spa that we could use. It was a little walk down from the cottage, and we needed to let the owners know when we wanted to use it, but they were always available and willing to give us access when we requested it. The spa is actually incredible - views over the water, under the dreamy star lit sky, with no noise or light pollution to be seen. Magical. We would defintely stay here again and recommend it to anyone who was wanting a relaxing couple of nights (or more!) in Akaroa." 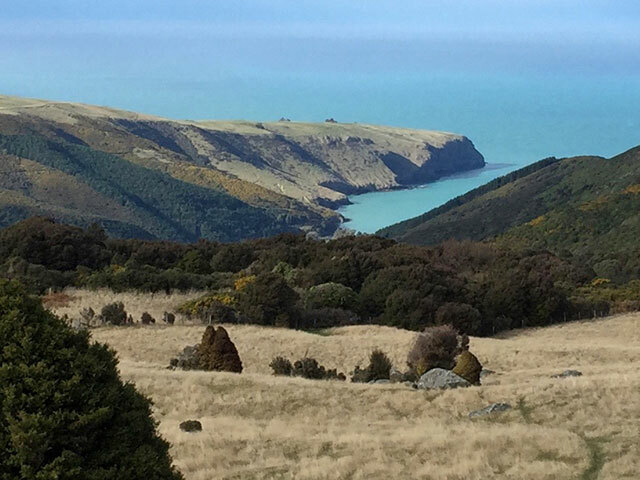 "Beautiful coastal cottage to relax and enjoy the stunning scenery of akaroa, Jenny and Johns place has everything you need for a relaxing stay, John is so accomodating and friendly, enjoying a spa under the stars is a real treat!" 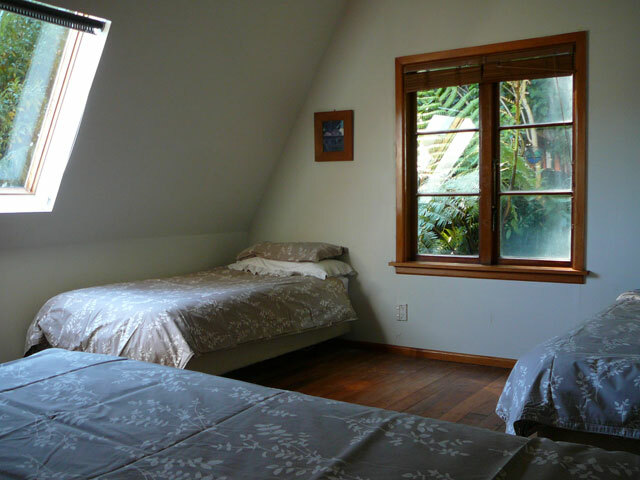 "The Akaroa Coastal Studio is a fabulous place to stay, especially for newcomers. It is clean, only a few minute drive to town, scenic, as well as very welcoming. We loved using the spa and waking up to the beautiful view each morning! I would highly recommend this stay." "Beautiful place in a charming village. The hosts were lovely and informative. Extremely lovely visit." This was exactly what we were looking for. The cottage was clean and had all amenities we needed. We spent each morning and evening out on the porch. 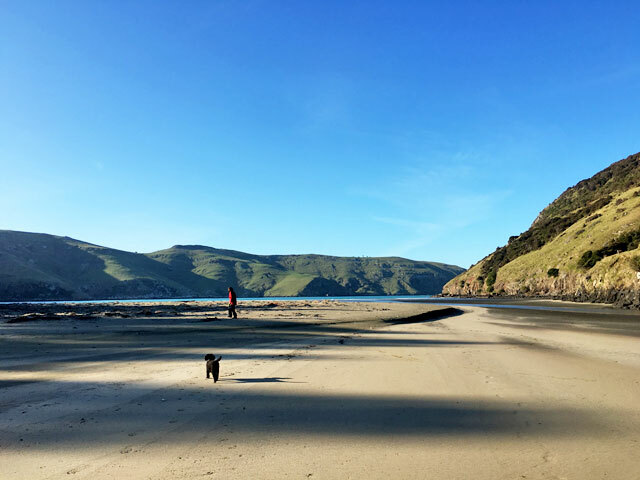 We even walked into Akaroa one day and to Onuku Beach. Some commented on the footpath, and yes, it is on a but of a grade, but my 70+ y/o mother did fine on it. The birdsong and views are incomparable with other properties in the area. We felt right at home and enjoyed our distance from other homes and people. Thanks for sharing the cottage!"" "One of the most incredible views and secluded decks to enjoy a sunset going around! Friendly, helpful, easy and efficient." "Beautiful home, fantastic location. Awesome hosts, I highly recommend John and Jenny." "Fantastic room attached to Jenny and John's home. Everything was very clean and comfortable-- GREAT room. Jenny was very friendly and greeted us with coffee and cookies, which was perfect after a day of travel. We also got a chance to go out in their jacuzzi at night under the stars, which was amazing! Such a great place to stay." "Great place to stay! Jenny and John are so warm and welcoming. Would recommend highly to others." "We loved our stay. The description of the house was really clear and suited us perfectly. Thanks very much! " "The house, perched on a steep slope overlooking the bay, afforded us many chances to appreciate the ever-changing weather and wind. It is far enough from the village to assure peace and quiet, yet only five minutes by car to all conveniences, including a first-rate movie theater, restaurants and shops. The accommodations are most pleasant, and complete with all amenities. " "So beautiful and peaceful place! The view is awesome and the house is so lovely. I could have stayed here for ever..."
"Booked this as a honeymoon gift for our friends. They absolutely loved the place. Went out on the boat on their second day and very excitedly relayed their experiences, seeing dolphins and penguins! Overall a fabulous experience and would definitely recommend." "Tremendous views!! Very nice clean place." "Fantastic location. Spent alot of time sitting outside, listening to the birds and watching all the activity on the harbour." "Great location awesome view and the house was great." "John and Jenny are wonderful hosts. We really felt at home away from home. We will miss our chats during breakfast or while watching the sun go down on the deck." "My wife and I stumbled upon Jenny and John's beautiful studio last minute after deciding to spend the night in Akaroa instead of Christchurch. We got lucky as they had just had a cancellation, and when we arrived we were speechless. The view outside of the window in the studio is stunning, and from the second we walked in Jenny, John and their son Ollie welcomed us like family. The studio itself has its own entrance right from where we parked our car and everything inside was spotless and clean. They helped us find a spot for dinner and John even made a reservation for us. Their son Ollie also took us out for a sail last minute despite the short notice. We cannot recommend sailing with Ollie high enough - he taught us the basics and was super friendly and accommodating. A phenomenal place to stay in a beautiful setting with the best people you can hope to host you!" 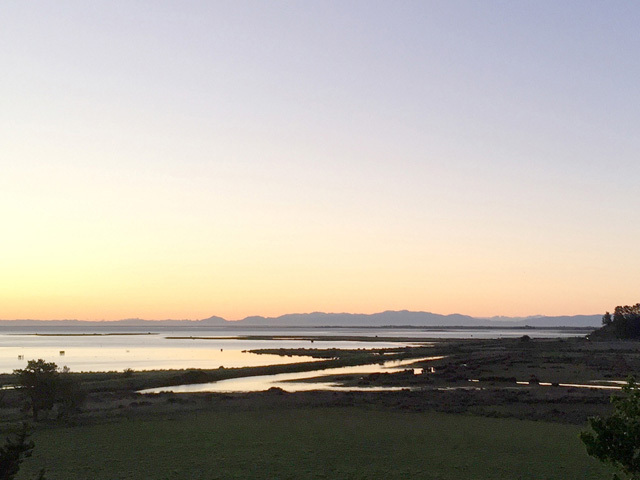 "Jenny and John's place is the best place we stayed during our trips in NZL, amazing view, top class design, much higher than what we expected. Most importantly, Jenny and John are lovely people! 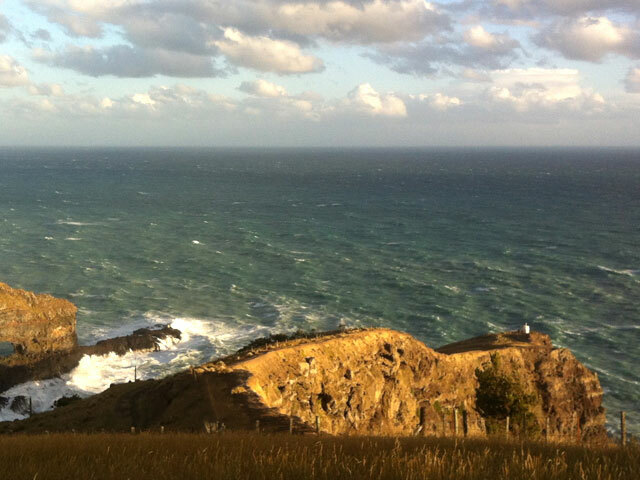 People was saying that the most beautiful scenery is people, I think it is especially true in NZL and in Akaroa. We will go back again!" 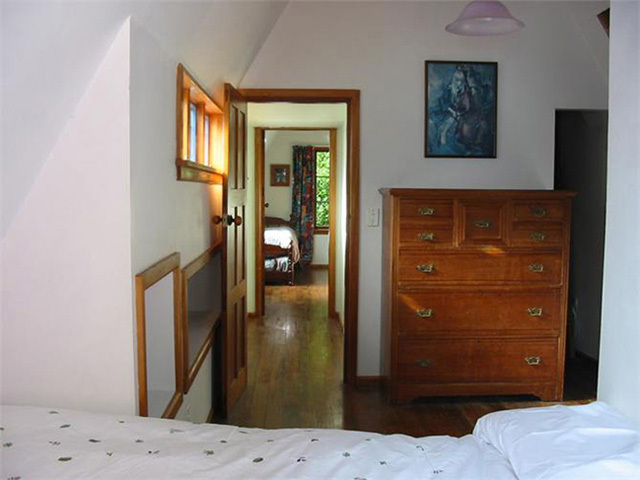 "This cottage is a wonderful place to stay in Akaroa! We enjoyed our two nights staying there watching countless shining stars in bed and woken up by birds singing in the morning. It's tidy, private, beautiful and interesting. Great thanks to our kind hosts. We wish we would come back here again next time!" "Awesome place. Amazing location with a stunning view overlooking the harbour. John and Jenny were very welcoming into their beautiful home. Highly recommended stay." "Petit studio, très propre, calme, vue exceptionnelle sur le fjord, salon et deck avec la même vue, partagés avec les propriétaires. Jenny et John sont adorables, donnent de leur temps et beaucoup de conseils pertinents ( restaurants, balades) Une adresse à recommander, à condition d'avoir un véhicule"
"Jenny and John are great people who gave us the privacy we required and yet were very interesting to talk to when we shared a coffee. 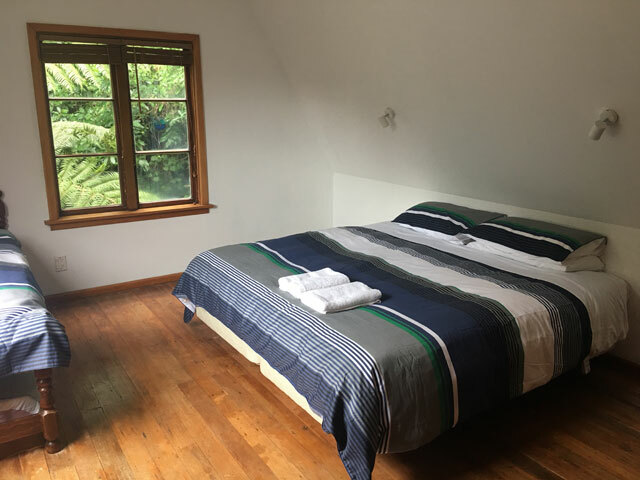 This room (with kitchenette and bathroom) has a splendid view and is a real retreat from the bustle of others... yet it is only 3km from the delightful Akaroa fishing village centre. It is no effort to pop down to the village for sundowner fish and chips and then return to the tranquility of this modern studio apartment space. This room is a great place to read, write, watch your fav movies or just relax and watch the incredible view change with the weather. 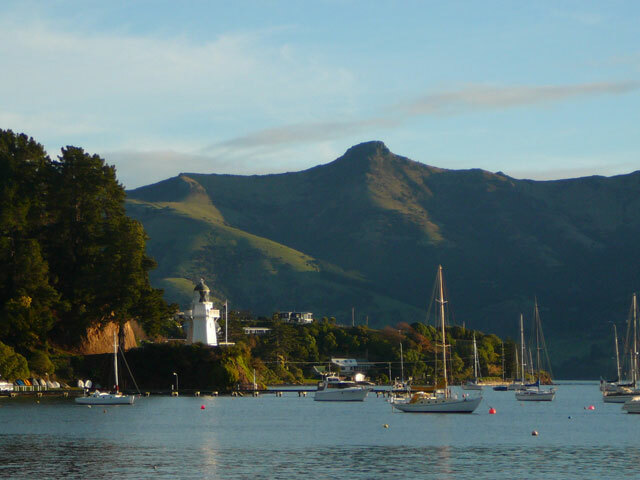 Akaroa is only about 70km from Christchurch and is a such a beautiful destination set into an exquisite harbour. Highly recommended. We had a fantastic time. Thank you Jenny and John!" 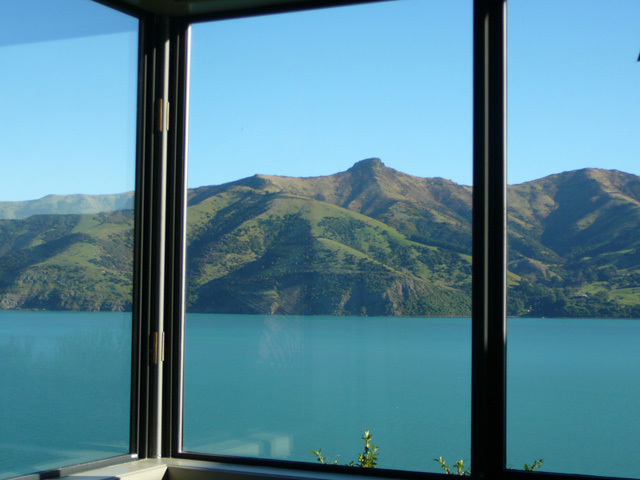 "Looking out the window is like having front row seats to the beautiful view of Akaroa harbour! The studio is wonderfully comfortable, cosy, clean and smartly laid out, and I think we had the best sleep here of our 2 weeks holiday. We appreciated all the thoughtful details and personal touches put into the design and comprehensive amenities; the pride that John and Jenny take in providing hospitality really shines through this lovely little studio." "John and Jenny provided excellent hospitality, they gave us a warm welcoming and made us feel very comfortable. The room was very neat and tidy and had an amazing view! Would highly recommend to anyone :)"
"Absolutely wonderful stay. As a bird and nature lover it was lovely to wake up to various bird songs, and the stunning view. Very comfortable and relaxing, we did not want to leave. Would come back if I'm lucky enough to to visit New Zealand again. The cottage was perfect." "This place is simply amazing! It is rustic, secluded, and the view is to die for. 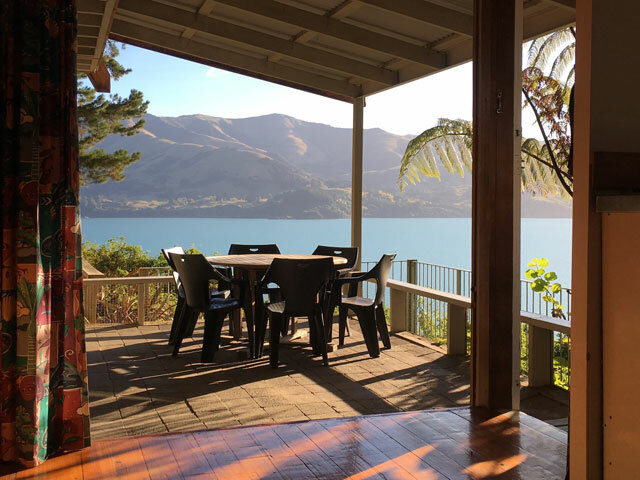 We could not get over the amazing slide-away front door that opened to a porch with a panoramic, unobstructed view of stunning Akaroa Harbor. We enjoyed more than one glass of wine on that porch taking in the sun and the serenity. Yet, for all its seclusion, this home is just minutes from Akaroa and easy to access all the different gorgeous hills and bays of the Banks Pennisula. We would highly recommend."